This week I do an interview with Adam Hunter of Cedar Rapids, IA. I’ve seen Adam’s work for years, and he has some great illustrative images I wanted to talk to him about. Adam also works as an instructor for Hawkeye Institute of Technology, which has an incredible professional photography program. Make sure you check out the notes page for a link to Adam’s images. You should go to his site to check out all his work. It’s great stuff. This podcast may sound a little different this week. I usually do my interviews on the phone because I’m talking to photographers from all over. This week, I talk to Adam Hunter, who lives in the same city I do. This fact gave me the opportunity to do a face-to-face interview. I’m not sure about Adam, but I think it went great. It had its technical challenges so that you might have a little background noise near the end of the interview. I tried to remove it, but I wasn’t 100% successful. During the interview Adam mentions a couple different things. I thought it would help if I chased them down for you. John Alton: Adam mentioned Alton in his description of Tribute to Film Noir. Light Pillar: The beam of light he talked about “Off Until Tomorrow” I think is called a Light Pillar. This episode features an interview with Kim Stephenson of PawPrint Pixs from the Chicago area. As you can probably guess, Kim specializes in pet photography. If you’ve watched a PPA Print Competition before, you surely noticed lots of images with animals. Kim seems to have an eye for photographing our furry friends. Unlike the previous guests, Kim Stephenson has just started entering images at the national level. Make sure you check out Kim’s images so you can see what we are talking about. I’m in a similar boat. While I had entered images into my state competitions for years, last year was the first time I had images at the district and International Print Competition (IPC). A lot of that comes from master photographers and judges encouraging me to make changes to my images and getting them submitted. If you plan on entering your first competition, I encourage you to talk to the judges to find out how you can improve your images. I find that many are more than happy to help out. Bob Coates mentioned in the last episode that his competition images have helped him improve his client work. I believe that competition has helped me and my clients, too. So, if you’re nervous about entering, I say, “Don’t worry too much, but just get in there and try.” You’ll probably hear Kim and I talk about that in this interview, too. This episode features an interview with Bob Coates. 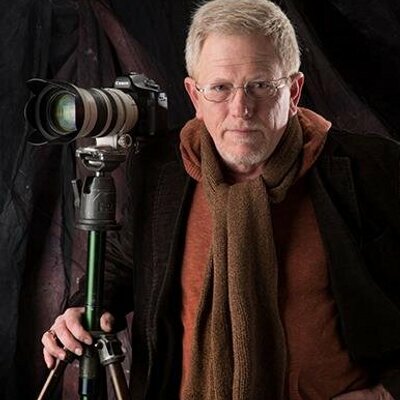 Bob is a professional photographer, author, speaker, and affiliate judge. He lives and works in Sedona, AZ. He’s written several books and trade articles, and Panasonic sponsors him as one of its US Lumix Luminary speakers. We talk about his 2014 images from both his Photographic Open and Master Artist cases. You can see the images Bob and I talk about on his website, so please go check out those out. I think you’ll agree they are great. For his image, “Thistle,” we discuss Helicon Focus from Helicon Software. It seems like a really interesting piece of software. If you have questions or ideas for this or future episodes, please leave them in the comments section below. I really want to hear from you.